1. Hearts in Atlantis traces several characters from childhood through college and into adulthood. How does King explore the maturation process? In King's fiction, what distinguishes childhood from adulthood? In becoming adults, what do we lose? What do we gain? Does the book suggest that "growing up" means something unique to each generation? 2. Why does the escalating war -- and the possibility of the students being drafted -- form an eerie backdrop to the title story "Hearts in Atlantis"? In what way is the Hearts tournament a metaphor for the Vietnam War? 3. How does the supernatural element in "Low Men in Yellow Coats" set the stage for the rest of the collection, which increasingly shifts its focus toward Vietnam? What effect does King achieve by pairing supernatural horror with the human horrors of war? What does the book suggest is more disturbing: actual events, or the inventions of our wildest imaginations? 4. Books play an important role for certain characters, Lord of the Flies for Ted, Bobby, Carol, and Pete, and The Sun Also Rises for Sully. Why are these books important to them? What do they reveal to them about the world we live in? What books have been important to you and why? What does Hearts in Atlantis show us about the world we live in? 5. There are many tender and funny passages in this book coupled with disturbing descriptions of war, human cruelty, and loss of control. Recall the students' laughter at Stokely's fall, and Carol's recollection that the boys who attacked her had been "joking and then...weren't." 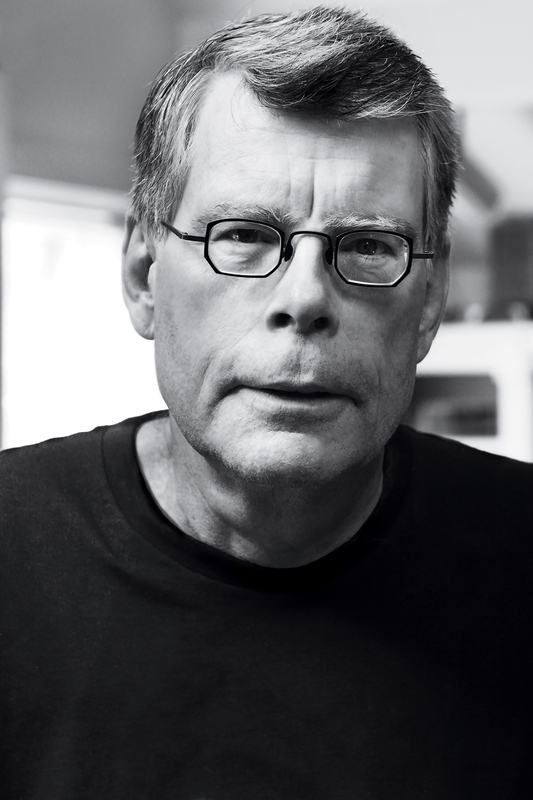 In what ways does King explore the fine line between humor and horror? 6. Several characters in Hearts in Atlantis experience disappointment in their own actions or reactions. Bobby couldn't bring himself to accompany Ted and the low men. Pete had trouble resisting the allure of the Hearts tournament -- and laughed at Stokely's fall. Sully-John lacked the courage to stop Malenfant's murder of the villagers in Vietnam. How does shame shape identity and influence behavior? Willie Shearman reacts by making "sorry" his "full-time job." How do other characters in these stories cope or fail to cope with their regrets? 7. In several instances, characters physically carry "the wounded" to safety. Bobby carries Carol, the students carry Stokely, and Willie carries Sully-John. What is the significance of this imagery? Which of the book's themes does it advance? 8. The threatening forces in this book often emanate from the least likely places and characters. Liz Garfield, for example, suspects Ted Brautigan of being a child molester when in fact she herself is revealed as a menacing presence in her son Bobby's life. How does King challenge our expectations of where evil and darkness reside? 9. Who are the heroes and who are the villains in this book? Recall Willie Shearman's role in attacking Carol and his later rescue of Sully-John in Vietnam. Recall also Carol's dedication to the peace movement and her involvement in increasingly violent demonstrations. Can someone be both a villain and a hero? Is heroism based on a person's actions or character? How do the conditions of war blur the lines between heroism and villainy? 10. In "Heavenly Shades of Night are Falling," Carol says: "People grow up, they grow up and leave the kids they were behind." "Do they?" Bobby asks. Answer his question. Do the characters in Hearts in Atlantis leave their childhoods behind? Or do their childhoods inform and shape their adult lives? Is it possible for anyone to leave childhood behind? 11. Discuss the use of symbols and signs throughout the book. Recall the mundane harbingers of the low men -- the lost pet signs and hopscotch boards -- which become increasingly ominous. Recall also King's depiction of the peace sign, which starts as a fad and gains resonance as the war takes center stage. What imbues a symbol with meaning? 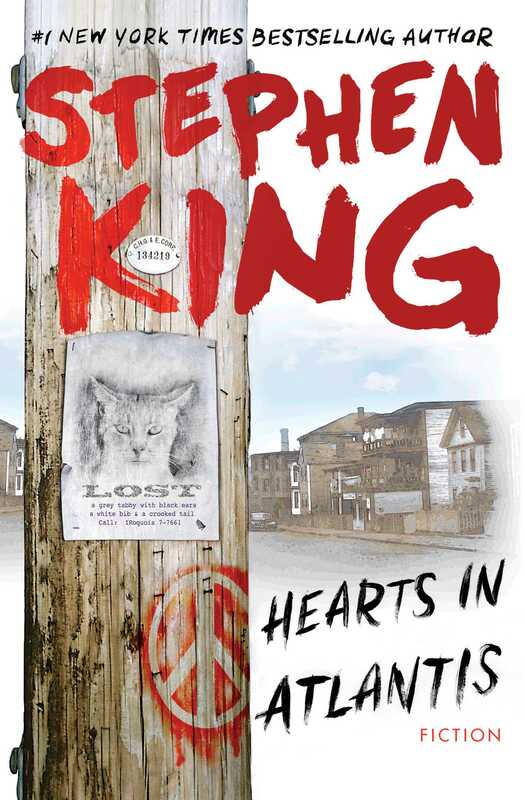 How does King use symbols in his fiction to create certain effects? 12. Carol uses symbols when she inscribes Lord of the Flies to Pete (p. 401-402). What do you think she means by [love+peace=information]? What does she mean when she says the book is full of information? 14. Discuss the significance of the collection's title: "Hearts in Atlantis". Is King suggesting that the 1960's are a remote and mythical lost world? Is everyone's past a kind of Atlantis? Did the American 60's have a quality that make them especially hard to access by conventional memory or describe adequately to later generations? 15. Some pundits today see the 1960s as mini Dark Ages of Western culture. What impression of the '60s do you get from Hearts in Atlantis and how does it compare with your own experience or understanding of the '60s? 16. The Vietnam War has been the focus of numerous books and movies. How does King's treatment of the war and its era differ from others? In what ways is his approach most compelling and evocative? 17. Ted Brautigan says to Bobby Garfield: "When you find a book that has both a good story and good words, treasure that book." Does Hearts in Atlantis have both a good story and good writing? Bobby is distressed after reading Lord of the Flies that he can't decide whether the ending is good or bad. Is the ending to King's latest collection good, bad, both, or neither? 18. In the story, "Why We're in Vietnam," Diefenbacker laments the failure of his generation to act when they had the opportunity to change everything (p. 498). He says, "You know the price of selling the future, Sully-John? You can never really leave the past...And it's better that way. Vietnam is better. That's why we stay there." Do you agree with Diefenbacker's assessment? In what way are we still in Vietnam today? 19. How does every story in Hearts in Atlantis tell the story of Vietnam? Consider the characters choices about when to act and when to simply watch; when to obey authority and when to rebel; when to see and when to be blind.